Bernie has spent nearly two decades as a manager in business and industry, with a particular focus on financial planning for the last ten. He has received a Certificate in Retirement Planning from The Wharton School of the University of Pennsylvania, and has earned his Chartered Financial Consultant® (ChFC®) designation. 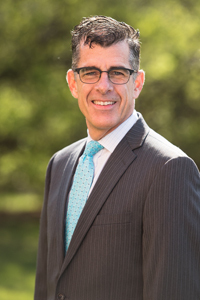 He is a member of the International Association of Advisors in Philanthropy (AIP), the Partnership for Philanthropic Planning, and the Christian Leadership Alliance (CLA). Bernie enjoys traveling, and his fondest memory is of his honeymoon in the Dominican Republic. He shares, “I was celebrating the beginning of a new life with my new bride. I still get excited when I think back to the warmth of the beauty of the island and the undisturbed relaxation we experienced.” If, while traveling, Bernie ever happened to find himself stranded on a desert island for a year, the three things he would want to have along would be the Bible, old writings of Charles Spurgeon, and pictures of his family. Bernie resides in Lancaster with his wife Beth. Bernie has two daughters and four granddaughters.